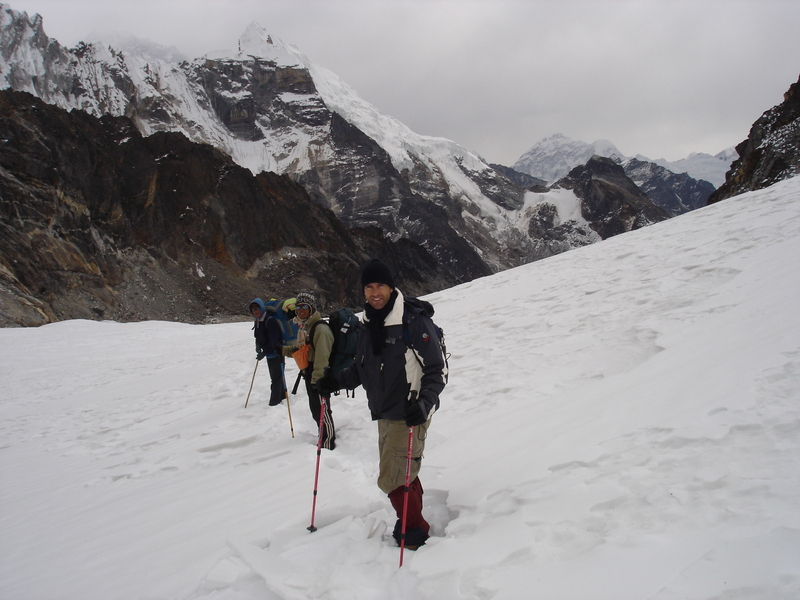 Gokyo Lake and Cho La Pass Trekking: is also known as Everest Circuit trekking, the most adventurous. It follows the route via high pass of Cho La at 5330 meters into the Base Camp of Mount Everest and Kalapattar. 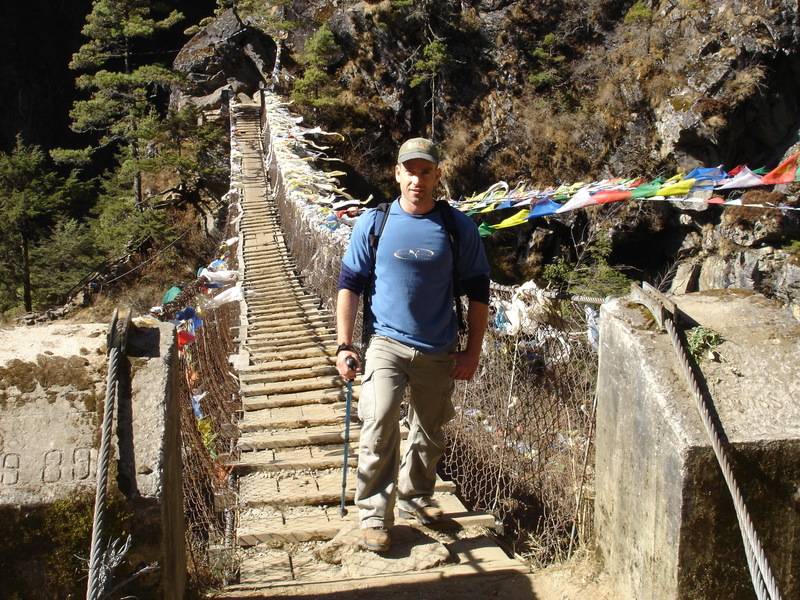 The trek follows the highly praised trekking route through Dudh Koshi to its source the Gokyo Lake, which is to the west of the Everest Base Camp, giving you the benefit to summit Gokyo Ri offering a fantastic 360 degree panoramic view of Cho Oyo, Everest and Makalu mountains are above 8000 meters. 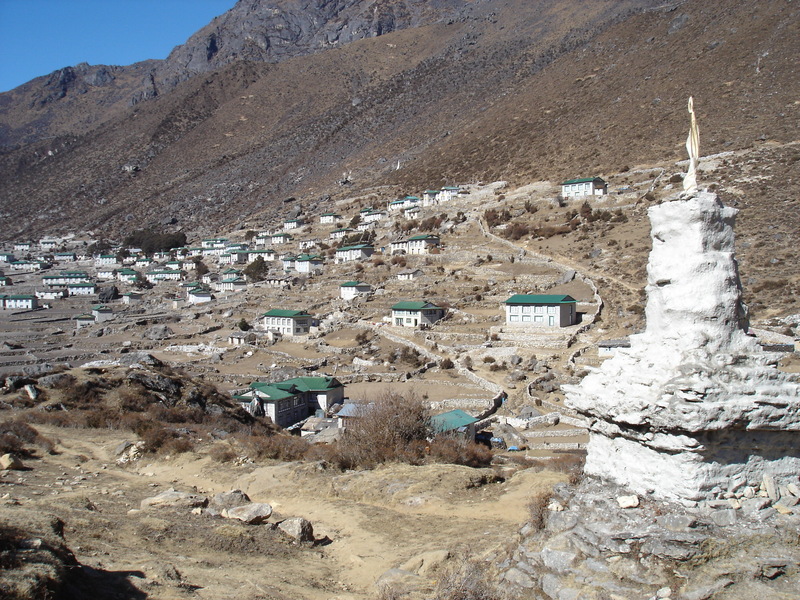 Buddhists monasteries located at Tangboche "the world's highest elevation" walk over the glacier on a well trodden ice and snow covered trail, rock face, steeper, beautiful views from a top Cho La Pass including Arakam Tse, Kangchung. Comfortable tea house lodges and restaurant are available to eat and sleep. However down sleeping bag and warm clothes must carry. Camera battery charge and telephone call are access most of the places on additional payment basis. First aid kid box is essential. This pass can be closed in winter season. Do not go Chola pass with out any experience supporter. Drink more warm water as much as you can and do not drink any alcohal when you are going at high passess. Do not argue with your friends or guide or porters for the tiny matters. Try to be happy and share your happiness and share jokes if you have any. Foreigner needs two different entry permits such as National park permit (Rs 3000) and TIMS permits (US $ 10) per person. Gratitude for children below ten years old. Visit of Buddhanath, Pashupatinath & Bhaktapur. Over night at hotel. Climbing Gokyo Ri (5360m, view of Mt. everest and Mt. Makalu) and return to Gokyo. Rest or go to 5th lake. Crossing Ngozumba glacier to Dragnag. Flight to Kathmandu. Drive to hotel and over night at Hotel and leisure time for Laundry. Grading: Difficult. Need a minimum trekking experience to hike on new or old snow. Trek type: Sleep at tea house lodges. Departure date: Every day during Spring and Autumn season. For other seasons twice a week. If any one of you has problem to chose right trip or to extend / shorten a tour itinerary that has been published in our website or want to upgrade your accommodation in Nepal, please contact us. Price will be quoted according to the group size. Pick up and drop from airport, Kathmandu accommodation (as per your request), all land transfer as per given itinerary, sightseeing tour with experience local guide, Everest National Park entry permit fees, TIMS permit fees, accommodation during tea house lodge trek, all clients meals, experienced English speaking trekking guide / leader, necessary experience local porters ( two clients equal 1 porter who carry 25 Kg) , staffs wages and their all food and equipment, insurance and other facilities to staffs, farewell dinner at Nepali typical cultural restaurant. Nepal entry visa, travel insurance, medical evacuation in case of emergency, KTM - Lukla - KTM airfare, personal expenses, all bar bill, expenses of personal nature i.e. soft / hard drinks, tips etc, international and domestic airport tax, any other unforeseen expenses, and emergency rescue (If required).